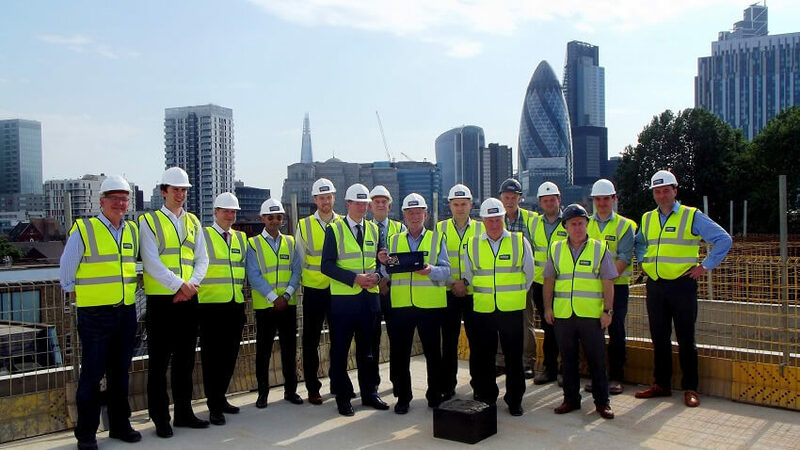 Endurance Land and main contractor McAleer & Rushe have performed a traditional “Topping Out” ceremony on the roof of 86 Brick Lane, Spitalfields, London E1 – The BREEAM Excellent 189-bedroom hotel development which is pre-let to Whitbread’s will be the first new build, for their exciting Hub concept. The ceremony was attended by representatives of Endurance Land, McAleer & Rushe, EC Harris, SD Structures and Taylor Wessing. 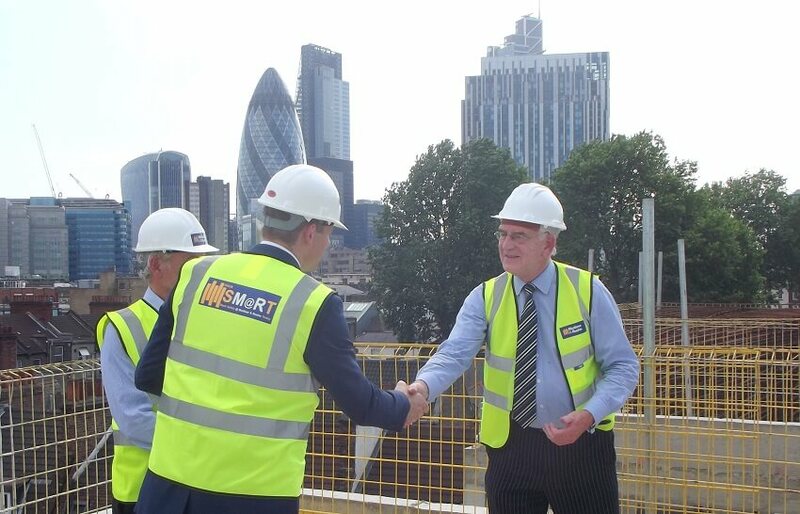 Rick Rixson of EL commented “Whilst there remains a long way to go to complete the project, we are pleased to have reached this significant point and thanks go to all members of the team – a real achievement given the substantial constraints of this site”.